Concerns over rising interest rates and expected further rate increases have hit several stocks hard since the end of the third quarter. The NASDAQ and Russell 2000 indices are already in correction territory. More importantly, the Russell 2000 ETF (IWM) underperformed the larger S&P 500 ETF (SPY) by about 4 percentage points in October. Hedge funds and institutional investors tracked by Insider Monkey usually invest a disproportionate amount of their portfolios in smaller cap stocks. We have been receiving indications that hedge funds were paring back their overall exposure and this is one of the factors behind the recent movements in major indices. In this article, we will take a closer look at hedge fund sentiment towards Novartis AG (ADR) (NYSE:NVS). The number of Novartis shareholders in our database has fallen by 14% over the past few quarters, with hedge funds owning just 0.7% of its shares. Over half of those were held by Fisher Investments, which has owned Novartis since 2012. 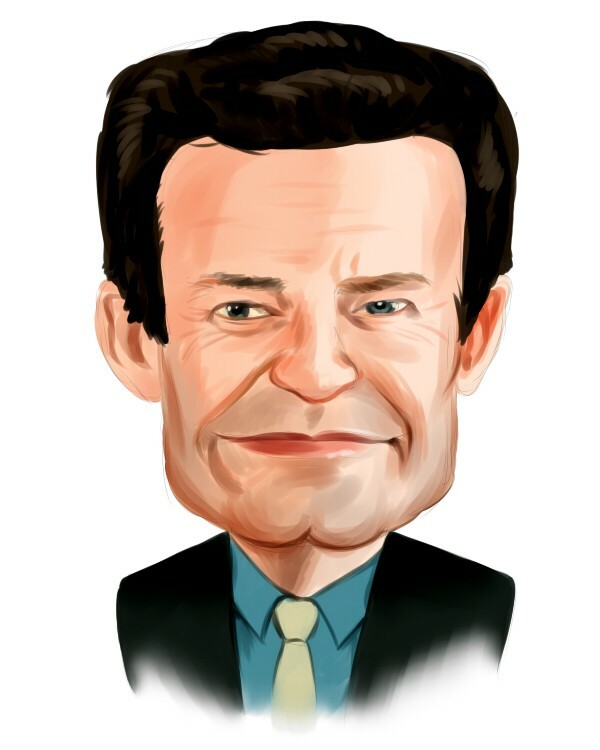 In fact, the stock ranked 19th on our countdown of 25 Dividend Stocks that Billionaire Ken Fisher is Bullish On, with shares sporting a 3.41% dividend yield. At Q3’s end, a total of 25 of the hedge funds tracked by Insider Monkey were bullish on this stock, a 7% drop from one quarter earlier. 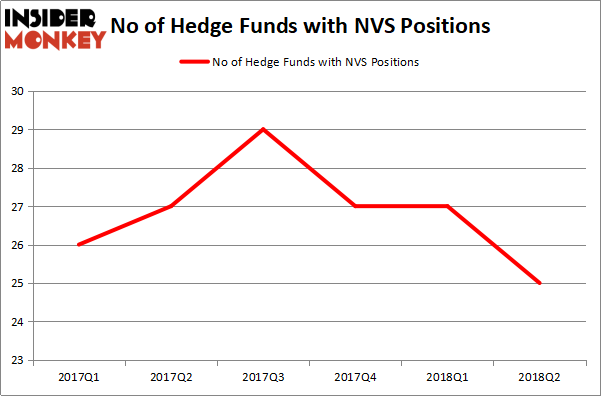 By comparison, 29 hedge funds held shares or bullish call options in NVS at the end of Q3 2017. So, let’s check out which hedge funds were among the top holders of the stock and which hedge funds were making big moves. When looking at the institutional investors followed by Insider Monkey, Fisher Asset Management, managed by Ken Fisher, holds the biggest position in Novartis AG (ADR) (NYSE:NVS). Fisher Asset Management has a $553.4 million position in the stock, comprising 0.7% of its 13F portfolio. The second-largest stake is held by Jim Simons’ Renaissance Technologies, with a $291.3 million position; 0.3% of its 13F portfolio is allocated to the company. Other hedge funds and institutional investors that hold long positions consist of Bain Capital’s Brookside Capital, John Zaro’s Bourgeon Capital and John Osterweis’ Osterweis Capital Management. Judging by the fact that Novartis AG (ADR) (NYSE:NVS) has experienced falling interest from the smart money, we can see that there was a specific group of money managers that decided to sell off their entire stakes last quarter. At the top of the heap, Steve Cohen’s Point72 Asset Management dropped the largest stake of all the hedgies watched by Insider Monkey, worth about $37.5 million in stock, and Paul Marshall and Ian Wace’s Marshall Wace LLP was right behind this move, as the fund dropped about $1.9 million worth. These moves are interesting, as total hedge fund interest was cut by 2 funds last quarter. Let’s go over hedge fund activity in other stocks similar to Novartis AG (ADR) (NYSE:NVS). We will take a look at Oracle Corporation (NASDAQ:ORCL), Citigroup Inc. (NYSE:C), Netflix, Inc. (NASDAQ:NFLX), and Merck & Co., Inc. (NYSE:MRK). This group of stocks’ market values are similar to NVS’s market value. As you can see these stocks had an average of 67 hedge funds with bullish positions and the average amount invested in these stocks was $7.14 billion. That figure was $1.21 billion in NVS’s case. Citigroup Inc. (NYSE:C) is the most popular stock in this table. On the other hand Oracle Corporation (NASDAQ:ORCL) is the least popular one with only 50 bullish hedge fund positions. Compared to these stocks Novartis AG (ADR) (NYSE:NVS) is even less popular than ORCL. Considering that hedge funds aren’t fond of this stock in relation to other companies analyzed in this article, it may be a good idea to analyze it in detail and understand why the smart money isn’t behind this stock.